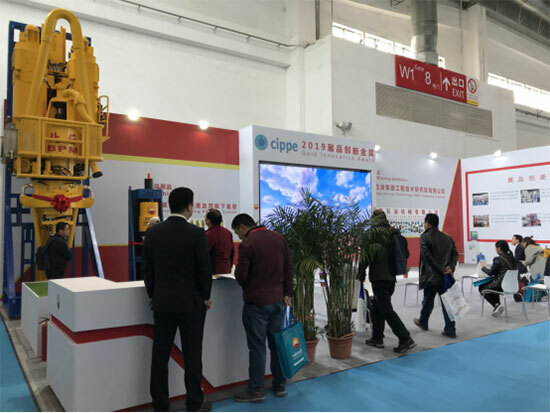 On March 27, The 19th China International Petroleum & Petrochemical Technology and Equipment Exhibition (cippe2019) opened in Beijing and the “Advanced Top Drive and Top Drive Casing Running System” researched and developed by Beijing Petroleum Machinery Company Limited (BPM) of CNPC Engineering Technology R&D Company Limited was awarded “cippe2019 Gold Award of Innovative Product”. cippe Gold Award of Innovative Product is designed to honor and encourage the innovation products and leading technologies with outstanding contributions to petroleum technology and equipment. Different from previous years, more well-known enterprises with rich independent innovative technologies come to compete for the award and the competition is extremely fierce. Finally the “Advanced Top Drive and Top Drive Casing Running System” is awarded as the “cippe Gold Award of Innovative Product” for the high pertinence of its serial products (that can provide individualized configurations according to the drilling depth, geological characteristics, etc.) and the unique technical innovation in the field of automated drilling. The Advanced Top Drive and Top Drive Casing Running System are mechanical-electric-hydraulic integrated products; the series of equipment can meet the need for the drilling depth of 3000m-12000m and can meet the need for the characteristics of shale gas and other special stratum; the advanced control technologies of soft torque, drag reduction by torsional pendulum, etc. are developed; The series of devices has achieved 20+ patents and has passed the product certification of API Spec 8C, 7-1, etc, the quality management system certifications of API Q1, API Q2, ISO 9001, etc. and has passed the product inspection by China Classification Society (CCS), CCS type approval and anti-explosion certification for electrical control room. It has multiple key technical breakthroughs and innovative optimization, as well as more highlights in innovation and the technical performances have reached the advanced level of international similar products. The special top drive for shale gas, specially developed for the difficulties in exploiting unconventional oil and gas resources such as shale gas, etc., extends the advantages of traditional top drive and upgrades multiple software and hardware at the same time and the main performance parameters are improved by more than 25% accordingly. By integrating the technologies of top drive, soft torque, etc., The service life of PDC bits can be effectively prolonged, the number of pulling out and drilling down can be reduced averagely by 2-3 times for single well so that drilling costs can be saved. By the control technologies of top drive and drag reduction by torsional pendulum, the friction of horizontal segments can be effectively overcome to improve the average mechanical drilling speed of the sliding orientation segment by 20-66% so that the cost of rotary steering can be saved. It has obvious advantages over the rotary guiding operation in cost control and it is an effective alternative for low-cost drilling of long and horizontal wells. 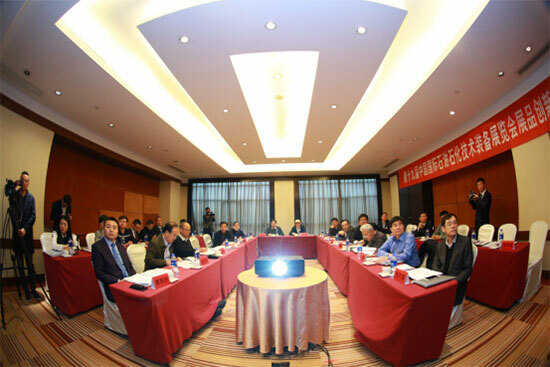 By configuring the new top drive, upgrading the existing top drives, etc., these advanced technologies can be widely used for shale gas in Sichuan and Chongqing, as well as multiple blocks in Sinkiang Mahu area, Changqing, Bohai, etc. 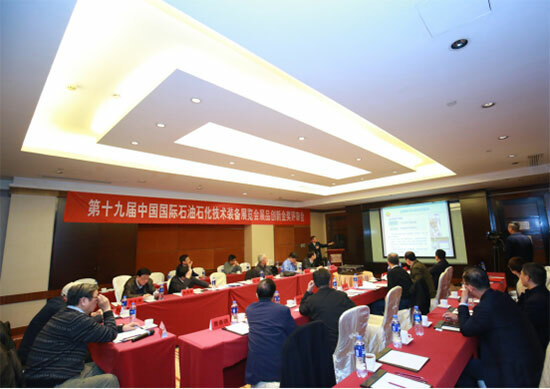 The cippe Gold Award of Innovative Product was initiated by the organizer of Zhenwei Exhibition in 2012. 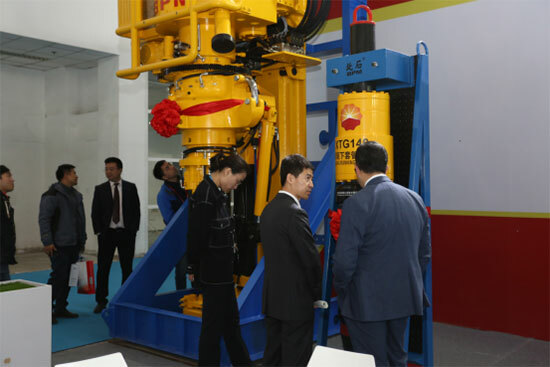 More than 10 authoritative experts were invited to form the Review Committee and select the awards-winning equipment or technology from the many declared exhibits of cippe petroleum exhibition through rigorous review, which must has independent intellectual property rights, major technological breakthroughs and most representing the internationally higher technological level in the industry. The cippe Gold Award of Innovative Product can be regarded as the “Oscar” for the petroleum industry! 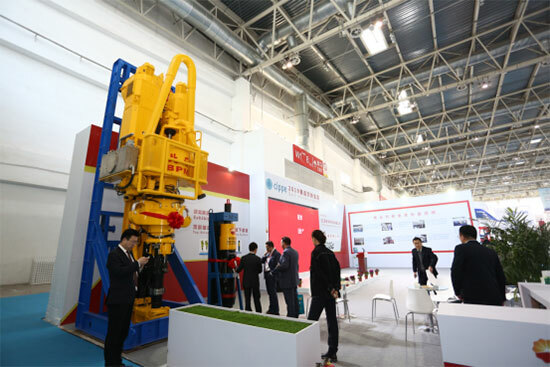 The cippe exhibition welcomes enterprises to actively participate in the application for evaluation so that more new products and technologies will emerge in the field of petroleum equipment and promote the development of petroleum equipment manufacturing in China.